Waist trainers have become a popular option for reducing weight as well as for muscle building. There are many varieties of weight cinchers available in the market. So, how do you buy the best waist trainer without getting confused? Just follow our helpful guide below! Waist cinchers are known to hug your body and to make it look fit. While it is important to buy the right fit, you should also make sure you are able to breathe comfortably in it. Try simply inhaling and exhaling. Then move around, where your breathing should not get affected. If you feel restricted then it isn’t the right one. The materials in the waist cincher will differ from one another. Since the waist cincher will be worn on an everyday basis during work out getting to have a comfortable material is essential. The hook placement should also be considered. Some set of waist trainers has the hooks on the sides and some on the front and back. Choose the one which is comfortable for you. Go for a fabric which is of good quality. When you wear your waist cincher and work out, if you find that there are any sorts of bulging or if there are any rolls in it then it is best to go for a different size. This usually happens when the measurements are not got right. It can happen when the waist cincher is too tight and there is an added pressure to it. When the length of the waist trainer is short then rolling happens. Most waist cinchers are prone to shrink over time. Also, while working out people will lose weight. This has to be compensated with the waist cincher too. So it is important to choose a waist trainer which will be able to stretch as the body loses a couple of inches. This is also possible with the availability of the number of hooks in the waist trainer. 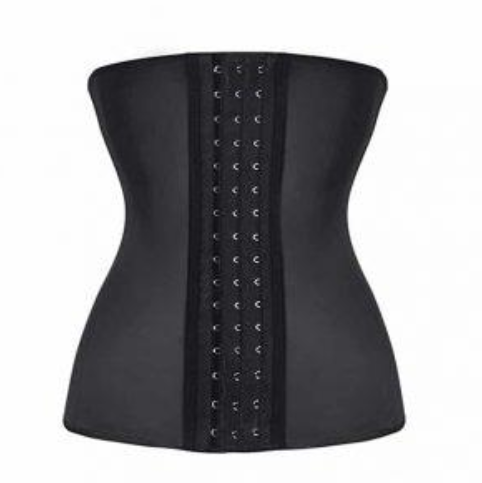 If there are plenty of hooks then it is easy to adjust the waist trainer according to the size. This is not possible with just two hooks in hand. While losing weight it will be possible to advance in the hooks which will avoid the need to buy a new waist trainer. Also, when you are trying out a new waist trainer check for the number of hooks left out. If there are only two hooks left, then it is too big and you should go for a size smaller. Before buying the waist trainer make sure the measurements are proper. While the quality might be top class if the fitness is not right then the waist cincher will not give the expected result. At the end of the day, if the fitting is not proper then the comfort will not be achieved. Start by checking out the length of the natural waist. This will give the idea of the right size.